Since last Friday Sattar is save in Holland with 16 hours on video material and since that time I am busy to get everything on my hard disk! Wondering myself about the images who appear on my desktop. This is also Baghdad a totally different Baghdad as what we see daily appear on our TV screen. People eating. Children playing football, images of the famous Almutanabi street. The Book street in Baghdad. Images of the famous Om Kalthoum café where photo’s on the wall show us the glamour’s past. Images of students passing their exams. 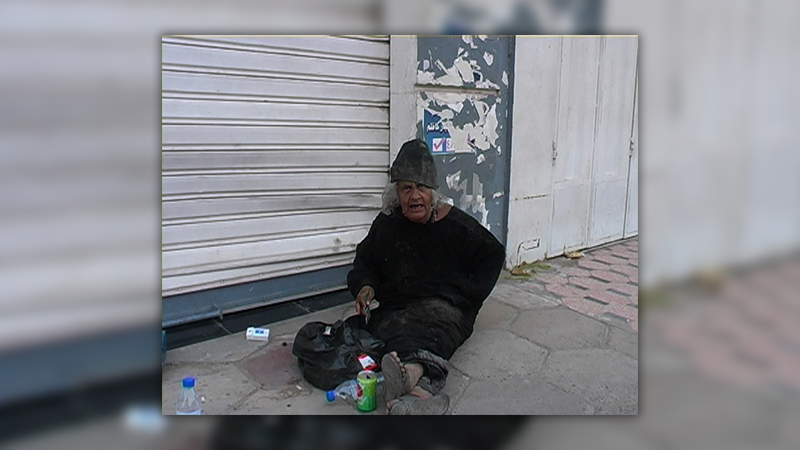 Lot of unknown images of the daily of in Baghdad city. Some times a soldier crossing the picture …I think what happens now…nothing he is just enjoying a concert on the Tigres. I just don’t see all those pictures I know from the TV. Bleeding, jellying, and crying people. I see people despite everything enjoying their lives. I see also a recording of a begging woman. Her name is Mirjam. Sattar told me that she was a lawyer under the Saddam regime. She even had her office upside his palace. One day she was in jail and the next step was to tread her in a psychiatric hospital…after treatment she was very confused and now days this is how she has to get her daily bread. I wonder why there is not better taken care for her if everybody seems to know her story. That is what I want to search out. Thinking now perhaps there are too many of these Saddam Hoessein victims I don’t know? I would really like to source that out! Stils out of video’s Baghdad. Vrijheidsmaaltijd 5-05-2017. Dutch Culture projects Amsterdam.